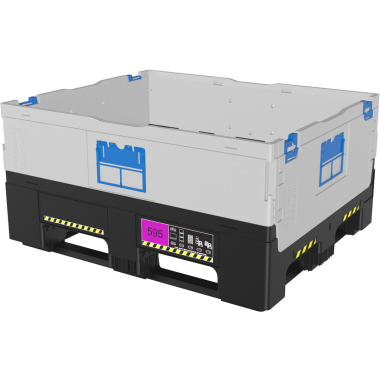 G Force supply a range of industrial quality plastic pallet boxes, plastic bulk boxes, collapsible pallet boxes and Dolav bins ideal for storing, transporting and handling large or heavy loads. 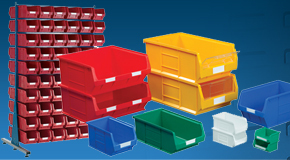 All of our plastic pallet boxes are available with optional drop-on plastic lids. 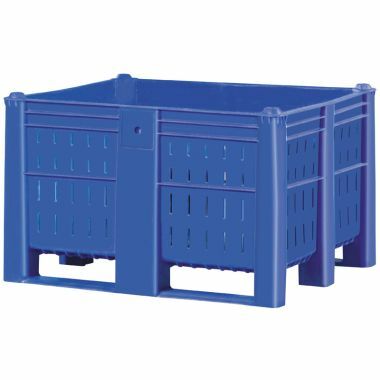 Food grade, heavy duty, plastic pallet boxes are ideal for the storage and handling of large quantities of food produce and food ingredients. 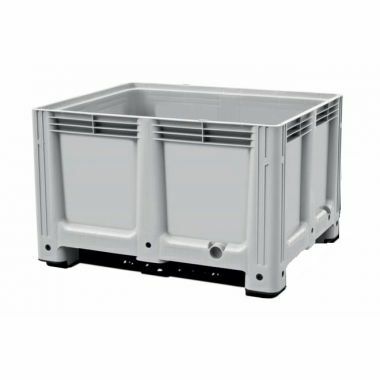 Our solid and perforated pallet boxes also known as Dolavs provide a hygienic solution for transporting and storing bulk quantities of food products and are manufactured using food grade plastic materials. 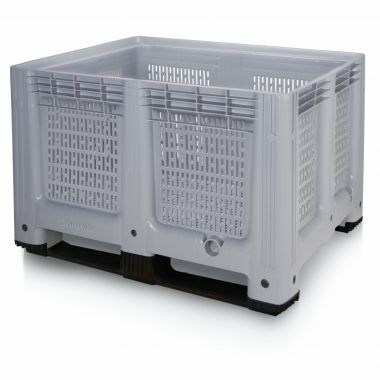 These pallet boxes are equipped with moulded in runners that allow the large plastic containers to be tipped and rotated on set of forks, assisting with the emptying of loose contents. 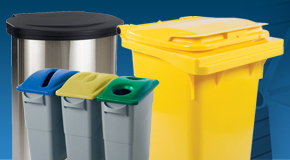 The bulk boxes are available in a variety of different colours to help with colour coding and optional plastic lids can also be supplied. Heavy duty plastic pallet boxes are ideal for use within general industry and demanding industrial environments. 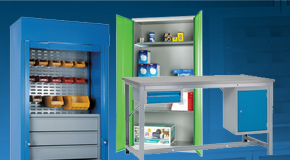 We supply a range of industrial quality pallet boxes that can be supplied with pick openings and drop-down doors to assist with loading and unloading. 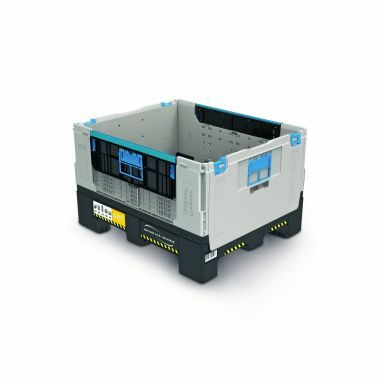 Also within the range of plastic pallet boxes are our collapsible pallet boxes, providing an effective materials handling and storage solution as well as saving on space. 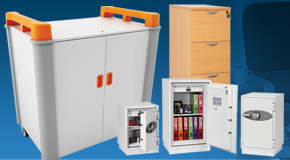 Ideal for environments where space is at a premium, the foldable pallet boxes can be completely collapsed when not in use to save on storage space; this attribute also makes them ideal for shipping as they can save on space on return journeys. 1. 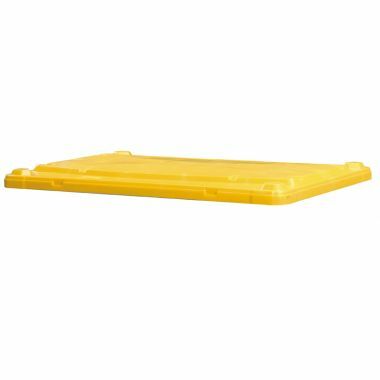 Heavy duty plastic pallet boxes provide a tough and durable plastic container suitable for handling extremely heavy loads of goods, parts, components and equipment. 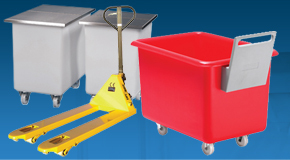 Used for storage, handling and distribution applications throughout many industries, the plastic pallet boxes are designed to provide large plastic containers that can be easily handled via fork lift truck or hand pallet trucks. 2. 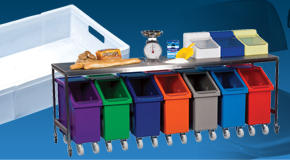 Dolav bins are food grade, colour coded, plastic pallet boxes widely used for food handling and storage applications throughout many industries such as food manufacturing and food processing, pharmaceuticals, agriculture, meat processing and fish processing, the bakery industry and many others. 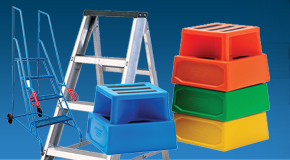 The pallet boxes are manufactured from a tough and durable food grade polyethylene and can be supplied in a variety of colours to assist with colour coding as well as optional plastic lids. 3. 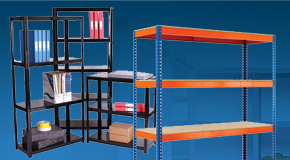 Foldable or collapsible pallet boxes offer a space saving alternative to standard pallet boxes. 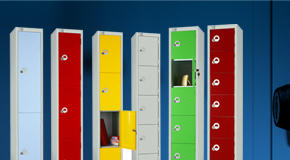 Able to fold down completely the pallet boxes can save on huge amounts of storage space when not required making them ideal for when space is at a premium.